Wishing you could have an ownership stake in the company you are working for? Founded in 1898, Burns & McDonnell is an award-winning engineering, architectural, construction, environmental and consulting services firm. We are 100% employee-owned, with regional and project offices nationwide, including offices in the Atlanta-Metro. Burns & McDonnell plans, designs, constructs and manages projects all over the world with one mission in mind -- to make our clients successful. We are Proud to be honored locally, regionally, and nationally as a Best Place to Work. The Atlanta Regional office of Burns & McDonnell is growing and hiring a Registered Architect to expand the Facilities group. 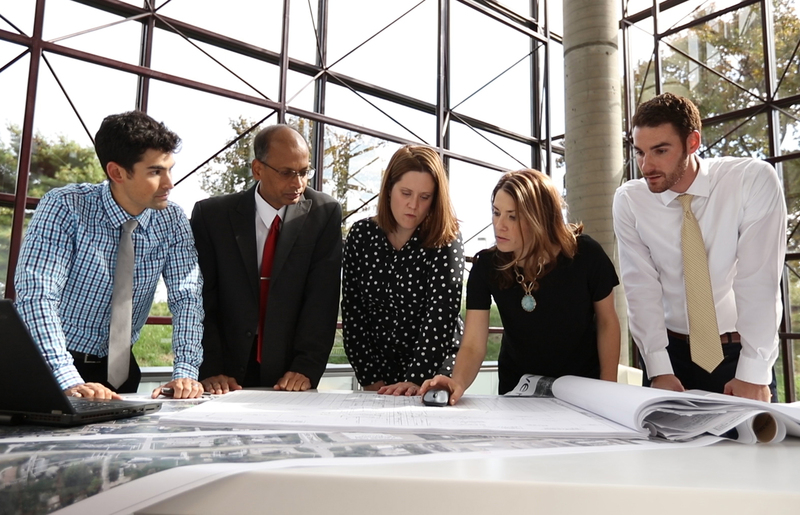 We are looking for an energetic architect to collaborate with the existing team on exciting projects in the federal, military, higher education, and commercial markets. We are seeking an individual with leadership potential, who has the skills and experience to build an architectural department based on continued growth of the office. Performs various tasks throughout each project phase. Prepares and checks the accuracy of contract documents, including drawings and specifications. Incorporates applicable codes, construction techniques and sequences in various projects, including all aspects of cross disciplines. Supervises and/or performs site observations such as recording and reporting of existing conditions and construction progress. Handles problems and questions as they occur during construction. Responsible for project cost control. Responsible for external communications such as making telephone calls and preparing correspondence to clients, officials, and contractors as required by various projects. Writes reports such as feasibility studies, condition reports and recommendations. Performs building code reviews and prepares applications. Responsible for major design decisions, involving spatial, aesthetic elements and detailing of materials. Documents the progression of a routine project through correspondence, calculations, memos, etc. Follows routine projects through approvals and construction. Initiates contact with client and code/city officials. Exercises professional judgment in areas of contractual liability. Knowledge of estimating project needs and capable of translating them into budget hours and costs. Ability to monitor the budget of a task or series of tasks and make necessary adjustments to keep on budget. Capable of providing leadership to a multi-discipline team that is performing a sequence of tasks. Ability to instill motivation to the team to meet projected milestones and capable of adjusting the procedures to keep the progress on target. Follows up on qualifying leads as directed. Contributes suggestions on business development. Sufficient knowledge of marketing to assist in the preparation of proposals and/or presentations. Bachelor's degree in architecture from accredited program. Minimum 8 years related experience (completion of master's degree in related field may be substituted for one year of experience). Excellent written & verbal communication skills with demonstrated sales/proposal writing experience. Must have advanced capabilities in Revit, AutoCAD, Adobe Creative Suite & Microsoft Office Suite. LEED AP is desirable, as well as understanding of sustainable design. Knowledge of SketchUP, V-Ray, 3ds Max or other advancing rendering tools a plus. Previous consulting experience and staff mentoring experience preferred. Must be a Registered Architect. Registration in Georgia or ability to obtain within 6 months preferred.